Nothing says “high end” like copper gutter systems on your home. Copper gutter systems are a great way to give your home a unique look while also improving the functionality of your gutters. At Minnesota Leafless Gutters, we have copper gutter systems that add value to the home and are surprisingly much easier to maintain than they have been in the past. 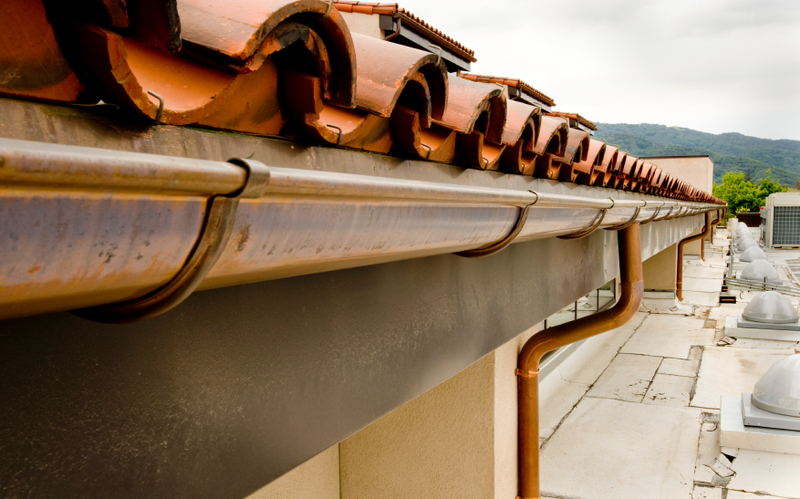 If you are thinking about replacing your gutter system, think about replacing it with copper. If anyone remembers the copper gutter systems of the past, you may be weary to have copper again. Copper gutter systems back in the day were very labor intensive to maintain and definitely left you with an empty wallet. Additionally, they were incredibly expensive to purchase and install. So not only was it hard to keep them functioning and clean, it was very costly! With reasons like that, why would anyone choose copper? Thanks to metal roller technology, Minnesota Leafless Gutters is finally able to offer seamless copper gutters. There are so many advantages to new copper gutters, it’s hard to say no! If you are looking for the best quality metal to put onto your home or commercial property, copper is your answer. Our copper gutter systems are the most durable and yield superior longevity of life if properly maintained. You can expect your copper gutters to last at least 50 years, and longer with proper maintenance. Additionally, the maintenance that was required in the past for copper gutters is no longer necessary. While proper maintenance is always encouraged, our seamless copper gutters do not require the expensive upkeep that older models have in the past. Of course, you’ll have to worry about it rusting…NOT! Copper does not require any painting or scrubbing as it is completely rust-free. As is ages, it develops into a beautiful patina, which some people prefer. No rust, no corrosion…what’s the downside? Although it is much more affordable this day in age, choosing copper is still initially more expensive than its alternatives, steel or aluminum. Our copper gutter systems cover gutters, downspouts, and gutter covers. If you have always dreamed of the elegance of copper on your exterior but never thought you could afford it, give us a call for a free estimate today! Call Minnesota Leafless Gutters today at 612-221-0362 or shoot us an email at mnleaflessgutters@gmail.com.